We provide boarding, canine massage, nutritional counseling, and with prior arrangement, can help you with training your canine companion. We consider ourselves a Whole Dog facility in that we believe that your furry friends are not a possession or an accessory. They are a member of your family and thus owed the same consideration and respect as you, our client. Co-Owner, Meg Wittenmyer, has studied and been certified in Canine Massage Therapy, Canine Acupressure, and Canine Nutrition. With over seven years experience as board member and Vet Director for Rocky Mt. 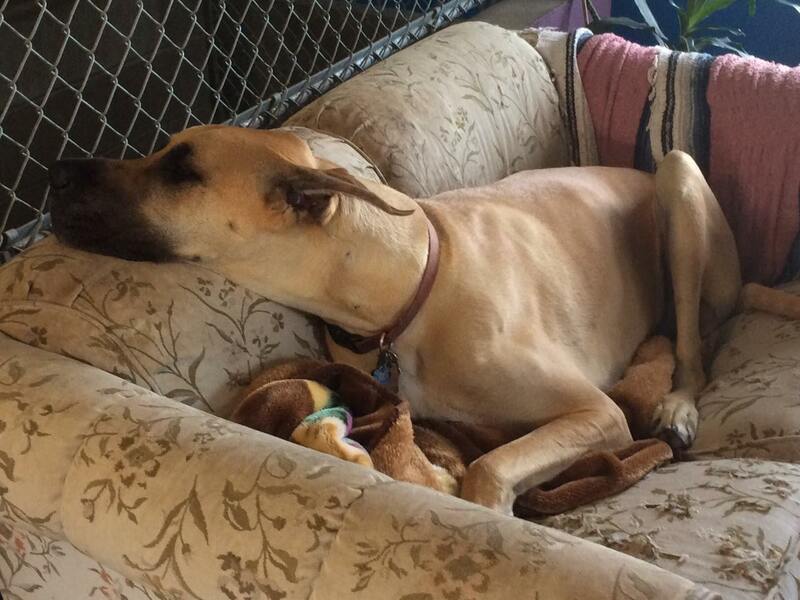 Great Dane Rescue, Inc., she is now a co-founder of The Dane Farm Great Dane Sanctuary located in Siren, WI. FIRST TIME BOARDERS, please complete the Kennel Contract prior to your drop off date. Thank you. Boarding at Bifröst Farms is not just a place for your dog to eat and sleep while you’re gone. We play, feed, medicate, cuddle and tend to your pet in whatever way is discussed and agreed upon when you make boarding arrangements. There is no extra charge. You are paying us to take care of your beloved furry family member and that’s what we do. Norm loves hanging out on his own couch at Bifrost Farms. If your dog plays well with others, they will be included in safe group play in our large, fenced yard on a daily basis. Otherwise, we will play or cuddle with them outside away from the others. No matter what your dog’s temperament, health or age, he or she will be given the opportunity for exercise, play and cuddle time with the staff. We reserve the right to refuse boarding to any dog we feel is not an appropriate candidate for our kennel. There will be a $2 surcharge for all credit card payments. Mon-Sat 8am to 11am and 3pm to 6pm. No afternoon hours on Wednesdays, May – October. Dogs picked up after 6pm Mon-Sat and 4pm Sunday will incur an additional night’s charge. No exceptions. We ask that you make appointments for drop-off and pick-up during these hours. If we are open, why an appointment? We are also a working farm, so although we are on the grounds, we may be in the barn or the garden if we aren’t aware of dogs coming in or going home during that time. We appreciate your understanding. If you make an appointment and will not be here at that time, please call. Thank you. If you require boarding for your pet during an extended trip or vacation, please call so we can discuss our long-term packages. You may bring your dog’s food for his or her stay at Bifröst Farms, which we will be happy to feed at no extra charge. Or, let us feed them our own grain-free, high quality kibble for an additional $3/day. Please be aware that all food must be packaged in a sealed hard plastic or metal container or it will not be accepted and the corresponding charge for using Kennel-provided food will be added to your bill. No paper or plastic bags of dog food will be accepted. Blankets or toys your dog can have unattended are allowed if you think they will help your pet feel better about their stay, however, it is the owner’s responsibility to make sure these items are returned when your pet is picked up. If your dog suffers from anxiety in strange settings or when you are away, we suggest you speak with your vet about an anti-anxiety medication, which is usually given one to two days prior to bring them to us for boarding. We like Zylkene, a natural calming medication which does not produce sedative or tranquilizing effects, but does require a veterinarian prescription. If you prefer not to consult your vet, Tryptophan is another natural calming agent available online. We allow raw diets at Bifröst Farms because we believe they are the most natural way for a dog to eat. The kennel has a separate freezer and refrigerator for your raw food and our staff is experienced in this model of food preparation. 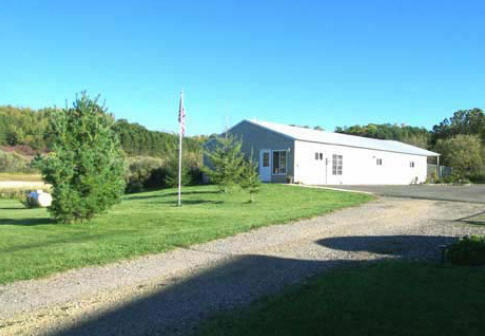 Our roomy indoor kennels are air conditioned in the summer and have radiant floor heating in the winter to ensure a comfortable stay year round. We have extra-large kennel runs for giant breed or multi-dog household boarders. All of our kennels are furnished with a comfy, raised dog bed so that laying on the floor is a choice, not a requirement. And finally, Bifröst Farms uses a proven cleaning formula specifically for vets and kennels that disinfect with natural antimicrobial ingredients without exposing your dog to harsh chemicals they should not be coming within contact. We also use air purifier machines with UV filter to destroy germs and bacteria. With the exception of our busy summer season and winter holidays, a $25 deposit holds your reservation. During these busy dates listed below, a deposit of 50% of the total stay is required upon dropping off your dog. Please note that we do not raise our rates during the summer or over the holidays. We strongly request that you read our cancellation policy, which is also included in the boarding contract you sign the first time your dog comes to stay at Bifrost Farms. May 25 thru September 5 and November 20 thru January 3 are considered our busy seasons when all reservations require a 50% deposit. Although we are dog lovers and feel blessed to have the opportunity to take care of your precious family companion while you are away, we also offer a professional service which we run as a business. The rules we create and provide for Bifröst Farms are made to keep your pet safe, happy, give us the time necessary to give them the care they deserve and maintain our business facility at the high level of standards our clients expect. To this end, we strictly enforce a cancellation policy for all current and past customers, as follows. We require 48 hours notice of cancellation. Any reservation cancelled with less than 48 hours notice will be charged a $25 cancellation fee or the balance of the reservation, whichever is less, due immediately. Any HOLIDAY or SUMMER (May 25 to September 5/November 15 to January 3) reservation will require 5 days notice of cancellation to avoid incurring a fee. Holiday or summer reservations which are canceled with less than 5 days notice are charged one half of the regular fee for the time reserved. If you return early and wish to pick up your pet before his/her reserved pick-up date, you are responsible for the full amount of the reservation. As summer vacations and winter holidays are peak boarding season, our facility will often be full, requiring us to turn away potential clients. When you cancel at the last minute, we are left with an empty kennel and someone else has had to take their dog elsewhere. We know you, our client, understand this. Please do not ask us to make an exception, as refusal can often lead to hurt feelings, which we do not wish to create. 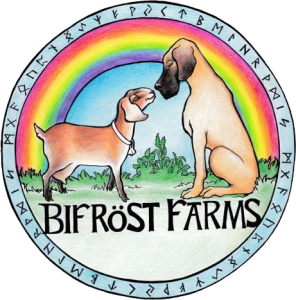 Bifröst Farms also subscribes to the minimal vaccination protocol as prescribed by Dr. Dodds of Hemopet and many other veterinarians across the country. We believe that our dogs get all the immunity and antibodies they need from vaccinations given early in life and a strong, healthy immune system resulting from an appropriate diet and environment. That is why, aside from the rabies vaccine, which is required by law, we respect your veterinarian’s vaccine protocol and accept titer results in lieu of vaccination records. Please bring a copy of your vet’s records for the boarding dog when you reserve their spot. We do expect your dog to be in good health at the time they are dropped off for boarding with us. We do not accept females in estrus as it is simply too disruptive to the kennel environment and we currently do not have a totally separate area to prevent over-exciting the rest of our boarders. If there are any fleas or ticks on your dog when they come to stay with us, Bifröst Farms will shampoo them with our gentle flea and tick shampoo and you will be billed accordingly. We pride ourselves in keeping a clean and pest-free kennel.